How women can become financially independent: an expert shows how with practical tips and case studies. Do women have different financial goals from men? Generally speaking the answer is no. However, women do have different life patterns and these greatly affect their ability to save or invest and, importantly, our ability to take risks. 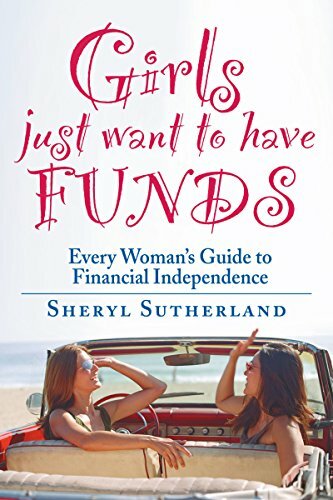 Sheryl Sutherland has been a financial advisor for New Zealand women for over twenty years. 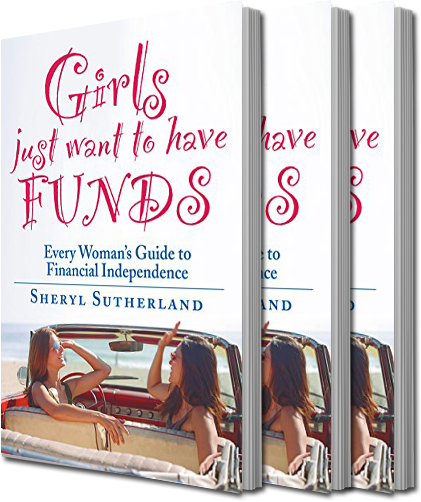 In Girls just want to have Fund$, she helps the reader move towards creating a financial plan for life. Her style is relaxed and pitched at ‘every woman’. Working through ‘money myths’, the author helps the reader identify her own goals and values. Sutherland uses case studies, exercises, quizzes and questions to encourage readers to think about their own personal financial situation and in turn moves them towards savings and investments. Financial terms are explained in plain English. And the text is littered throughout with pithy and humorous statements, and bold money facts. She discusses partnerships and money, tips for compromise, and commandments for every woman. There’s a chapter on the Art of Investing which explains growth and income, risk and return, liquidity and more; another on tactics for lifting the debt burden; legal issues are covered as well as financial advisors, retirement, mortgages, monitoring portfolios and estate protection. Decrease loans and increase profits. Make financial decisions that are rational and less emotional. Be more positive about your financial decisions. Find a financial structure that best suits your temperament and personality. Make fewer errors of judgement and recognise potential problems early. Understand the relationship between the media news, the market and yourself. Take a long-term view of your finances. Why do some people have money and not others? Is it through inheritance, or earning megabucks for some esoteric talent? Or being parsimonious and darning your own socks? Do some people have an innate ability, or is it a matter of attitude and calculation? For many, the enigma of money is surrounded by mystery and dysfunction. Money is an emotional currency that relates to our need for security, respect, love, power and self-determination. It’s therefore important that we understand our own relationship to money – in other words, we need to understand our financial behaviour. 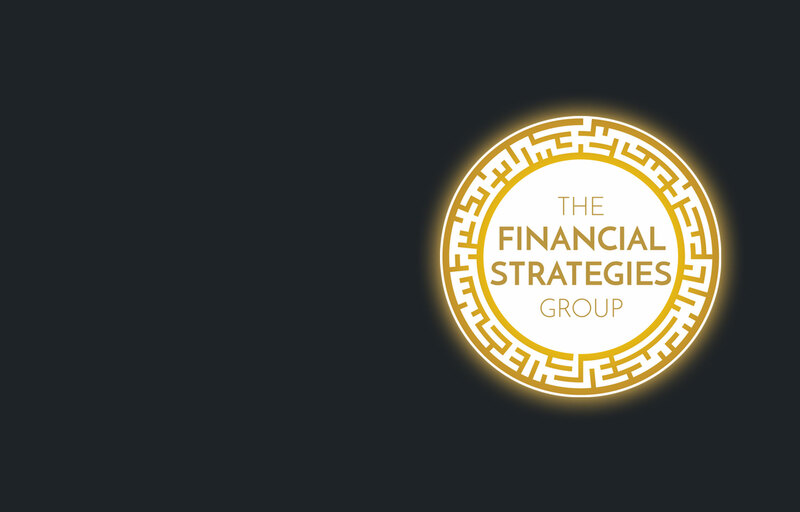 What inhibits us from taking the right steps to find financial freedom? Why do we respond in some ways and not others? Why do our emotions govern our financial decisions? 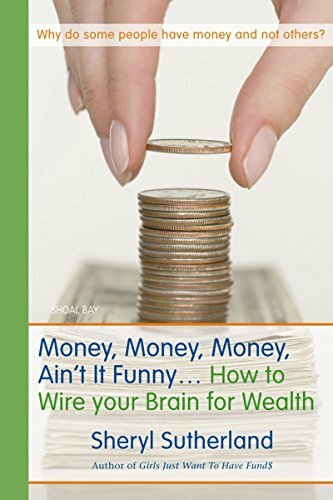 Money, Money, Money Ain’t it Funny…will help you handle your finances with a greater sense of ease and awareness. There is an old Kiwi saying that there are only two certainties in life: death and taxes. There are few New Zealanders who enjoy or understand our ever-changing tax system and many of us are guilty of putting off the inevitable, claiming ignorance. If some reports are to be believed, New Zealanders are also financially illiterate and poor savers. According to authors of the newly published Smart Money, this is not necessarily the case. Becoming financially savvy is simply a matter of education and laying good foundations, they say. And this book shows you how. Smart Money starts by explaining the tax deductions available for business owners and investors (of which the authors suggest an alarming number are regrettably unaware). It goes on to clarify the use of family trusts, discuss the value and potential of trading trusts and examine the place for partnerships, companies and sole traders. The investment section explains the complexities of the Fair Dividend Rate (FDR) and Portfolio Investment Entities (PIE) and demonstrates appropriate asset ownership, which will help minimise tax. 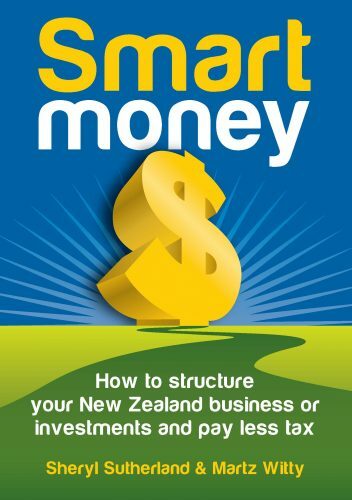 Additionally, the authors have created an indispensable website, www.moneysmarts.co.nz, to keep book purchasers up to date with legislative changes. Sheryl Sutherland has been a financial planner for over two decades, and is an independent adviser with her own business, Women’s Financial Strategies. She frequently features in broadcast and print media in matters related to investment, and has been a guest speaker for major corporations. Sheryl is the author of Girls Just Want to Have Fund$ (2005), and Money, Money, Money, Ain’t it Funny (2007). Martz Witty is a qualified chartered accountant and speaks professionally on tax issues. He is the author of Hit the Road Running! Gain more customers of the kind you want. Martz is a regular contributor to magazines and major newspapers and has served as a phone-in expert on TVNZ’s Breakfast. Do you go DIY or seek professional advice?